Biryani – man’s best recipe yet! Biryani – a name that conjures up a picture perhaps more luscious than any other stereotype possible. Stay with me on this word – BIRYANI – and you can almost smell the multi-hued, aromatic rice, feel the soft and tender meat, and see a subtle riot of historical gastronomy on the plate. See what biryani does to you! I think biryani is a global cultural connector. You get biryani’s everywhere. You do not go wrong with a biryani party. Everybody has an idea of what a biryani should taste like. Much before the Ray Krocs of the world took over with breads and processed chicken, the world was already annexed by this simple rice and meat dish. Talking about biryani is like discussing history and current affairs in one go. 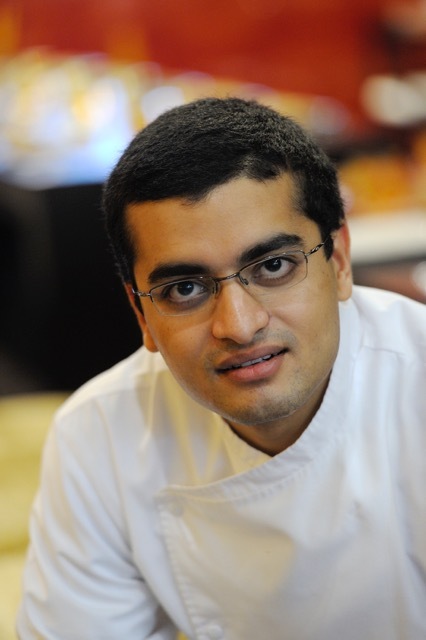 So I decided to take the help of my chef-friend and culinary consultant to a huge local group Ankur Chakraborty. We met to discuss this over books and hand-written notes. We decided to keep away from the real thing lest we go astray. Historically speaking, this dish travelled from Iran to the sub-continent, picking up many things on the way and adding to its list of fabled taste. There is a lot to thank the Mughals for, including biryani. Associating biryanis to royal kitchens happened later. Biryani started as a poor man’s dish – think of it – it was an all-in-one pot dish; replete with the right amounts of carbs and proteins. It rose to the ranks of culinary royalty when premium ingredients started being used namely spices like saffron, cardamom and the best cuts of meat. Quality of rice makes a huge difference. Often garnishes consisting of gold or silver leafing added to the stature of this dish. And so biryanis became synonymous for royal dining and feasting, so much so that it tastes ‘different’ if served lackadaisically. Like wine, a biryani needs to be presented in the cradle of opulent tableware; nothing else would do. Then there is the debate between a biryani and a pulao. Are they the same? Or do they battle for a higher rank depending on geographical region? Ankur explains the 2 as what pulao is to sedan, biryani is to sports car. To translate that, remember what we were taught in school – a rectangle is a square but a square is not a rectangle? OK, wiping the grin off, I would say what makes a biryani is the quintessential layering of rice and meats. The first and last layer in the pot needs to be rice. The Hyderabadi biryani, believed by purists to be the only biryani by culinary DNA, is pretty high on aromatics. 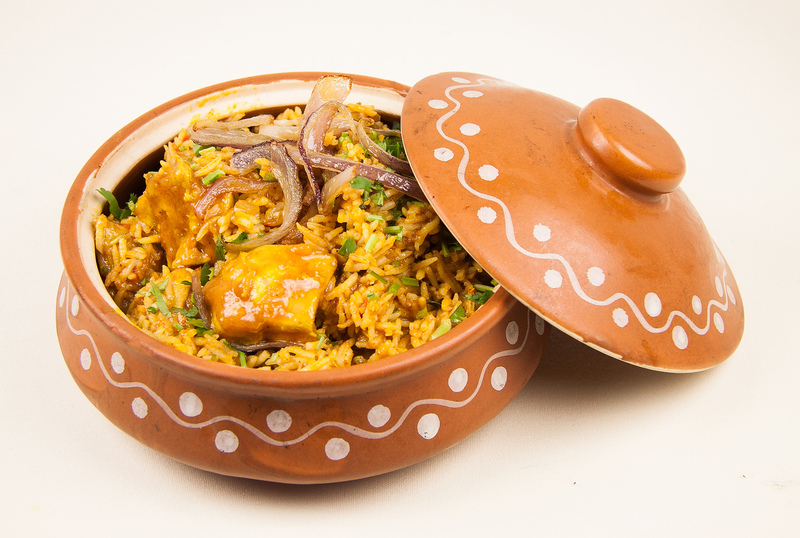 The Awadhi (or the Lucknowi) biryani is richer because of saffron, dry fruits and meat caramelisation. This biryani is ‘assembled’ – the rice and meat is cooked separately and then layered together for a ‘dum’ (steam-cooking). The Nawabs of Lucknow took shelter in Bengal when displaced and that gave birth to the Calcutta biryani. At first fans will swear by a butter-soft potato and a whole boiled egg that is there in the biryani, the other difference being in the rice used, called Sella. Then there are biryanis that are very native to cultures, communities and agricultural practices. The Thalessari Kerala biryani made of Khaima rice that is grown in the region. The Tamil Muslims of Vellore cook up the Vaniyambari biryani that is ‘meatier’ than the usual ratio of meat in a biryani. The Sindhi biryani is usually higher on the tangy side as they use more tomatoes. Their community neighbours, the Memoni biryani goes easy on the tomatoes and food colour. The Kannada Muslims swear by the Beary biryani, that is lighter but the process of cooking is similar to the Lucknowi biryani. Then you have a Bohri biryani, Kashmiri’s have their version called the Yakhni biryani, the tribal North East parts of India has their version of biryani using mustard leaves and ‘bur’ or rice wine. Internationally, am sure, you would have tasted or seen the ‘rice and meat’ dish albeit with different names like ‘Kabsa’ or ‘Mandi’ in the Middle East, The ‘Dan Pauk’ from Burma, the ‘Khao Mak’ from Thailand and ‘Zereshk Pulao’ from Iran. It would be ticklish to know that the Mediterranean dish ‘Paella’ also finds place in the biryani clan. So, to close, biryani is not just a simple rice and meat dish. It is much more than that. The key to it all is the savour the flavour. Gazebo – multiple locations, multiple biryani options. They do not usually go wrong with their biryanis. Appa Kadai – I love their Chettinad and Hyderabadi versions. Biryani Pot at Dubai Mall – hate biryanis served in food courts. This one stood out! 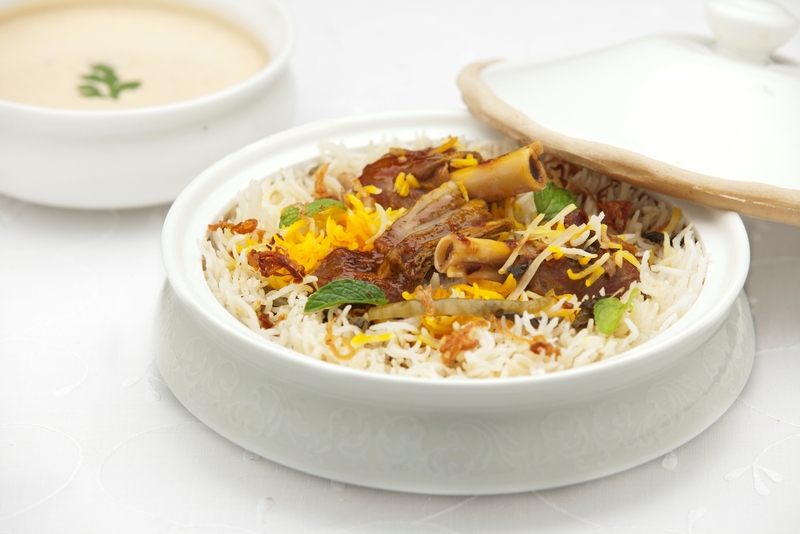 Qureshi’s at Country Club Dubai – dum gosht biryani!